Each two months holds one season in Nepal. So, we have six seasons in Nepal. The best season for trekking is said from March to May and September to December. We can operate tour to heritage sites and valley ridges throughout the year. And it is true that there is heavy snow fall in the winter in the Himalayas. The trekking trails are slippery in the rainy season but besides this the trekking is possible in Nepal in RAIN SHADOW AREA. Nepal has unique geological feature. 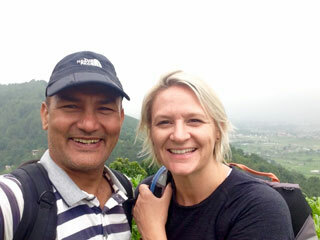 We can easily operate trekking in the Inner Himalaya. It lies between the Border Himalaya in the north and the Greater Himalayan in the south. These elevated Bhot valleys of Tibetan landscape are surrounded by ice-clad high Himalaya where glaciers and moraines are extended up to the valley floors. This typical feature of the high Himalayan valley (2400 m - 5000 m) in most cases is locally known as Bhot. This is the rain - shadow region of Nepal. This is also the driest as well as low productive land of Nepal. So, in the Monsoon season in Nepal, we can do trekking in Humla, Dolpa, Mustang, Manang, Larke etc. 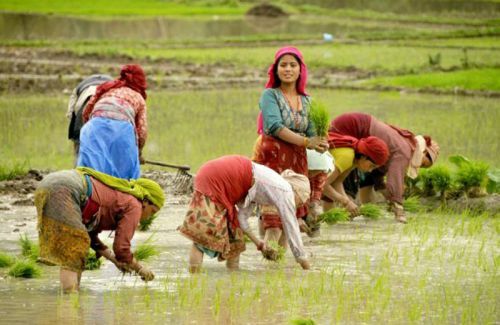 Himkala Adventure has organized Monsoon Season Tour for the visitors from different nationalities every year in the hilly reason those who like to take part in Rice Planting with the farmers of Nepal. There is still the traditional way of ploughing field with bulls, This is amazing to do singing a song, playing mud and having local dishes. The nature changes its color like sometimes it is dark clouds, and sometimes rainfall, there are waterfalls from the ridge of the hills and floods on the floor. It is green everywhere. It is something just to experience not enough describing by words.